Volkswagen's Golf GTI race car developed for the TCR International Series is about to spawn a road-going version. 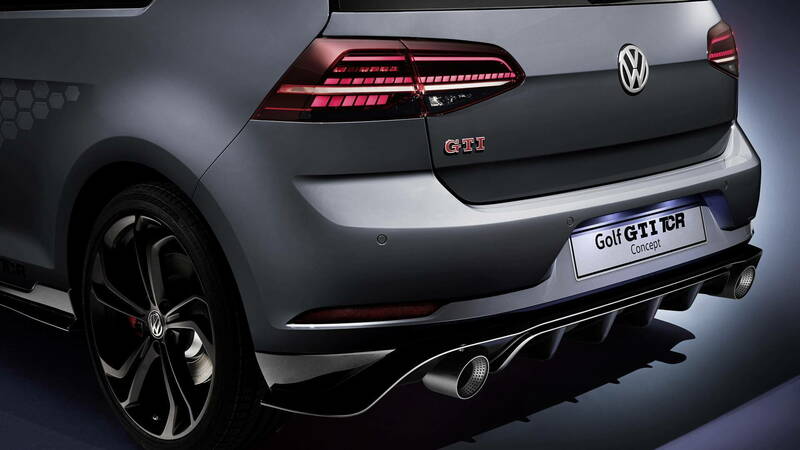 To be called the Golf GTI TCR, VW previewed the new range-topping GTI with a thinly veiled concept version on Thursday at the 2018 Wörthersee Tour, a tuning fest with a focus on GTIs held annually in Austria. 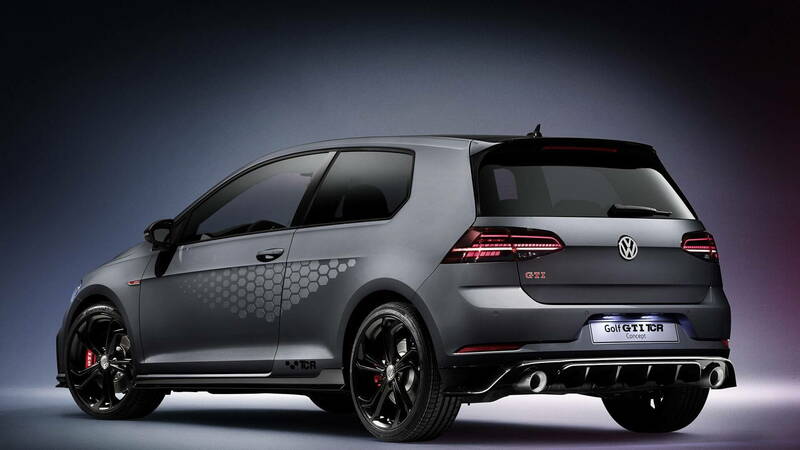 The new car is due at the end of the year and will be the fastest and most powerful GTI to date, at least as far as production cars are concerned, with VW confirming an unrestricted top speed of 164 mph to be made possible by an increase in output to 290 horsepower and 272 pound-feet of torque. While that's down on the 330 hp and 302 lb-ft that the GTI TCR race car makes, it's still a healthy bump over the standard GTI's 220 hp and 258 lb-ft. The powertrain will be a 2.0-liter turbocharged inline-4 and drive will be to the front wheels only, via a 7-speed dual-clutch transmission and front axle differential lock. Elements on the concept that will make production are said to include the new lip spoiler, side skits and rear diffuser. 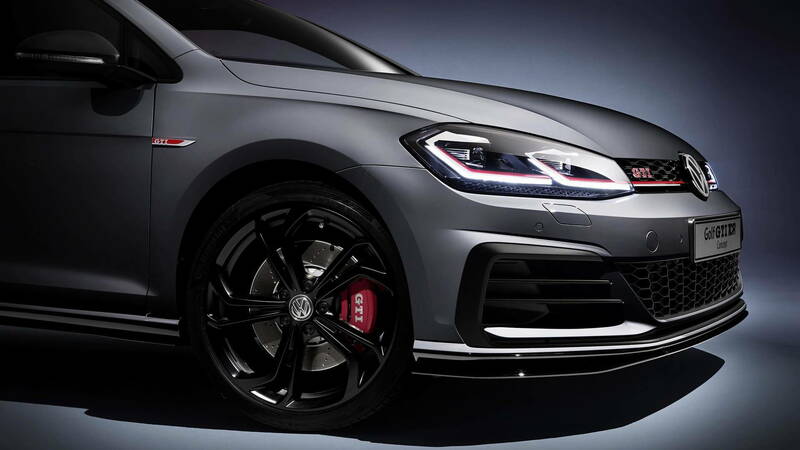 VW says the GTI TCR will feature 18-inch wheels as standard but buyers will be able to select a 19-inch set. Behind the large wheels will sit a high performance braking system with cross-drilled rotors. Other upgrades from the concept that should make production include two extra radiators to ensure sufficient cooling for the uprated powertrain, plus a more aggressive setting for the dynamic control system. Inside the cabin of the GTI TCR concept are pair of bucket seats at the front trimmed in microfiber and featuring a contrasting red and black design. The sports steering wheel also features a contrasting red 12 o’clock stripe. Once again, these elements should make it over to the production model. 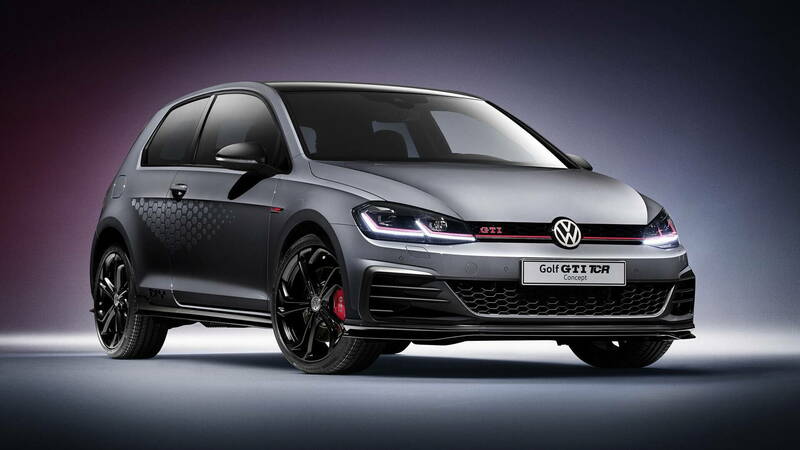 VW will commence sales of the GTI TCR late this year, with the car possibly serving as a final send-off for the Mk7 Golf which will be replaced next year. Unfortunately, there's no word yet on whether the GTI TCR is headed to the United States. This year's Wörthersee Tour runs until May 12 in Reifnitz, on the shores of the Wörthersee lake. For more coverage, head to our dedicated hub.